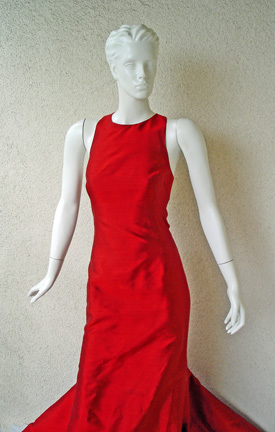 Signature red Valentino high fashion stunner from one of the designer's most exciting and sold out collections of 2001. 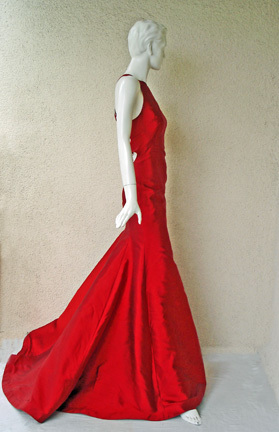 Sleeveless halter style mermaid gown fashioned of a rich claret red shantung silk. Criss-cross and double strap back adorned with clear Swarnovski crystal adjustable buckles. 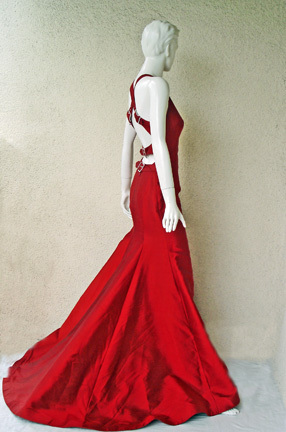 A sleek streamline minamalist look designed to create over-the-top drama! 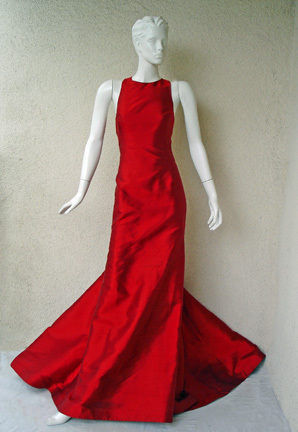 Back zipper closure and full lined in red silk. Magnificent long and full swantail train completes this alluring look.